Sometimes we all just need a warm hug. 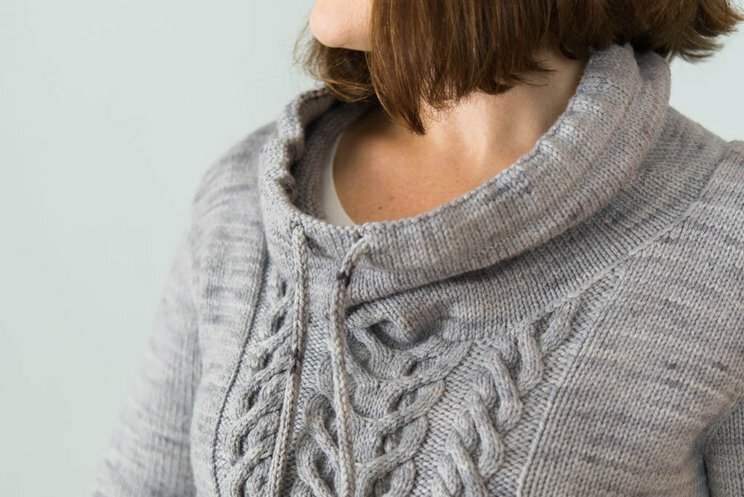 Verglas is a snuggly sweatshirt of a sweater, with a sporty tube neckline and fun cables. 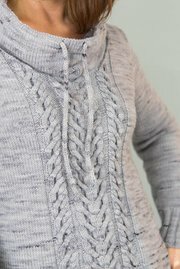 The design is worked with waist shaping, but on the back of the sweater only, to preserve the casual feel. (The front will be as wide as your widest point, bust/waist/hip.) The neckline is worked with a faced hem to encase the i-cord trim, and you can make the sweater in any length (with any length sleeves) that you like. 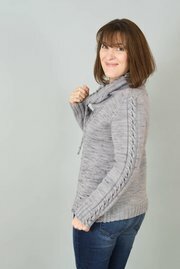 Beth is shown wearing the sample with somewhere between a relaxed and oversized fit, in terms of ease. 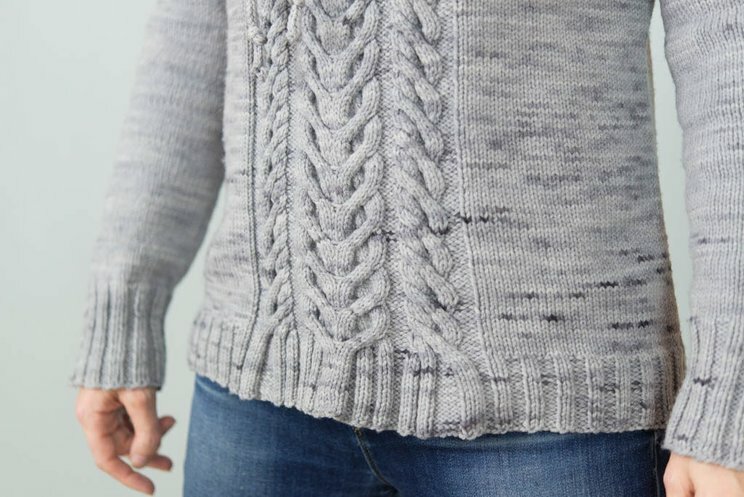 One note on swatching: CustomFit automatically takes the width-shrinkage of the cables into account, so please swatch in Stockinette stitch. 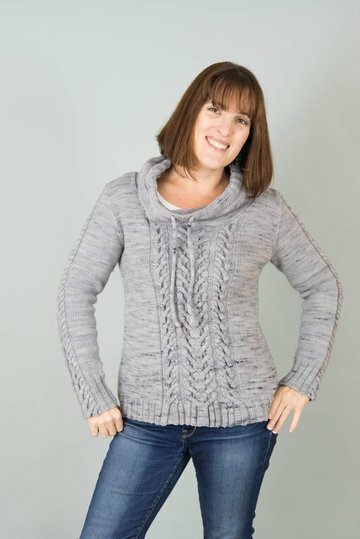 The sample is shown in Spirit Trail Fiberworks Zaiti, a 100% Targhee wool yarn that's bouncy, soft, and incredibly fun to knit with. I used the color "Vortex" for the sample, and liked the yarn at a gauge of about 5 stitches and 7 rows per inch. If you're using Zalti at this gauge, you'll need approximately 3 (3, 3, 3, 3, 3, 4, 4, 4, 5, 5, 6) hanks for an approximately 30 (32, 34, 36, 38, 40, 42, 46, 50, 54, 58, 62)''-sized sweater. Jen has made kits available for Verglas, with enough Zalti to make the sweater, a code for the pattern, in a variety of luscious colors. Order the kit by clicking here - and if you'd like a color that's not listed, choose the "au naturel" shade and put the color name in the comments on your order.